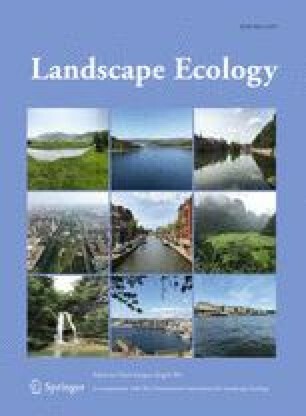 We question whether classical experimentation is adequate for real progress in landscape or regional ecology. One cannot do classical experimentation unless one can replicate the treatment. There is conflict between the need to replicate and the need to study processes at appropriately large scales. Because of the difficulties in doing controlled field experiments at regional scales, we propose that landscape ecologists take greater advantage of natural field experiments. Natural experiments must be coordinated, standardized, and synchronized over space and through time, and will require the cooperation of multiple investigators. Distributed computer networks can help provide the automated region-wide monitoring which will supply natural experiments with pre-treatment data. Regions or landscapes need not be ‘replicated’, and indeed, cannot be. One can achieve a relational understanding between a system's response and environmental characteristics. This understanding is not definitive, but allows for the development of testable hypotheses, in the classical sense. The confounding of space, time, and/or other environmental factors in pseudoreplicated natural experiments only allows for the development of hypotheses - ‘how-possibly’ explanations. Discrimination among competing hypotheses can be done at smaller scales and used to infer processes occurring at larger scales. Use of natural and controlled field experiments in complementary roles is a more promising approach than views of one or the other as methodologically inferior.